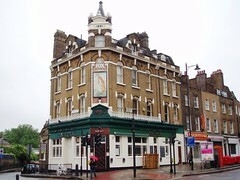 The Fox was a pub on Kingsland Road, at the edge of Dalston. It closed down for redevelopment in June 2018. Last edited 2018-07-30 07:10:45 (version 13; diff). List all versions. Page last edited 2018-07-30 07:10:45 (version 13).